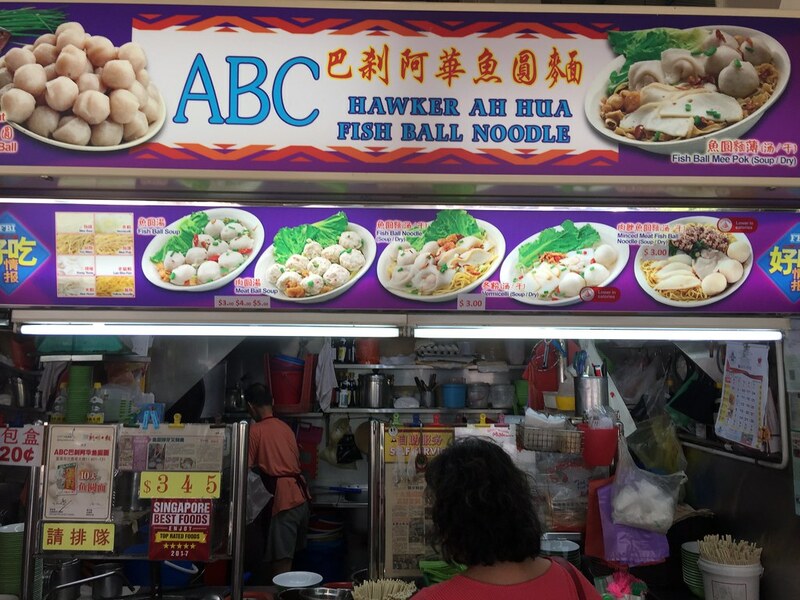 A rare visit to Telok Blangah Crescent Market and Food Centre, brought me to ABC Hawker Ah Hua Fish Ball Noodle. 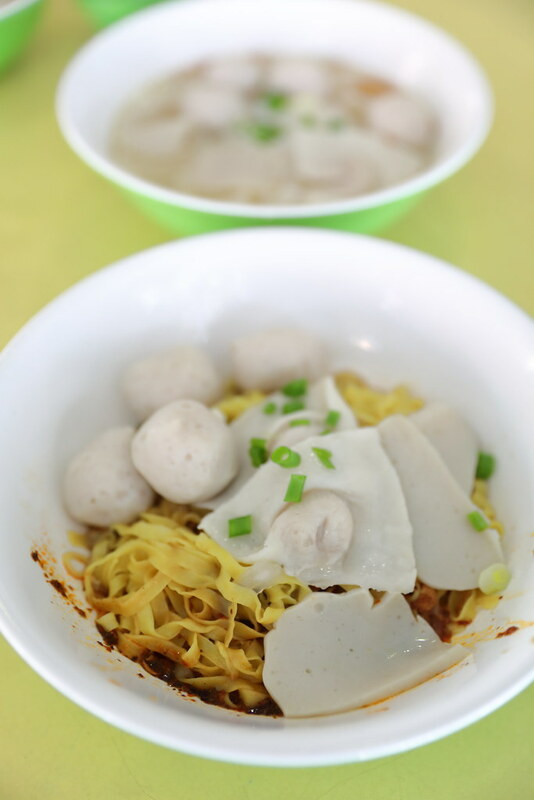 Spotting a queue at the stall, I decided to join them and check out the fish ball noodle stall. First, we had the Fish Ball Noodle Dry ($3) which comes with 4 medium size fish balls, 2 fish dumplings and a few slices of fish cake. 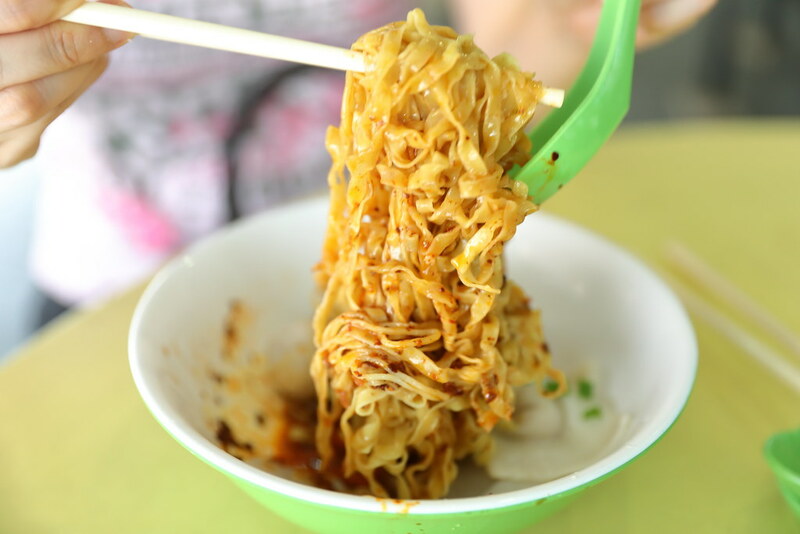 The mee pok is cooked to al dente with a good bite to it. However the chilli sauce lacked a good punch to it. Worth mentioning is the bouncy fish balls. 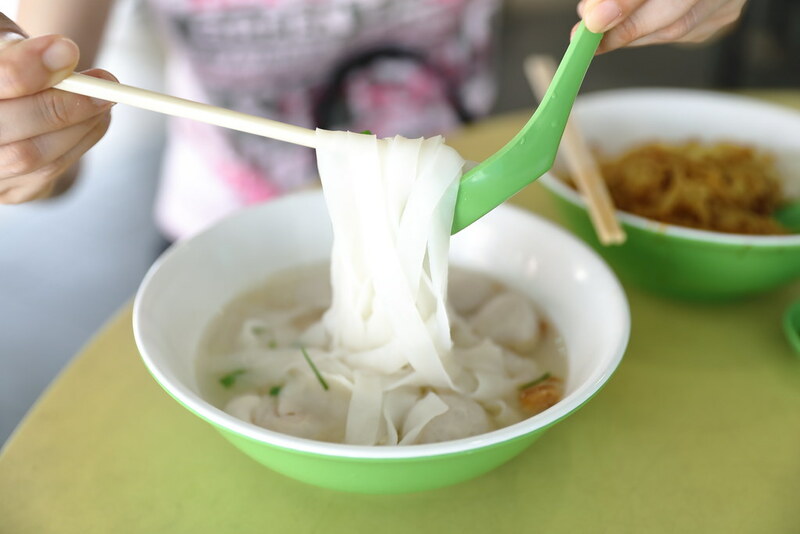 We also ordered the Fish Ball Noodle Soup ($3). 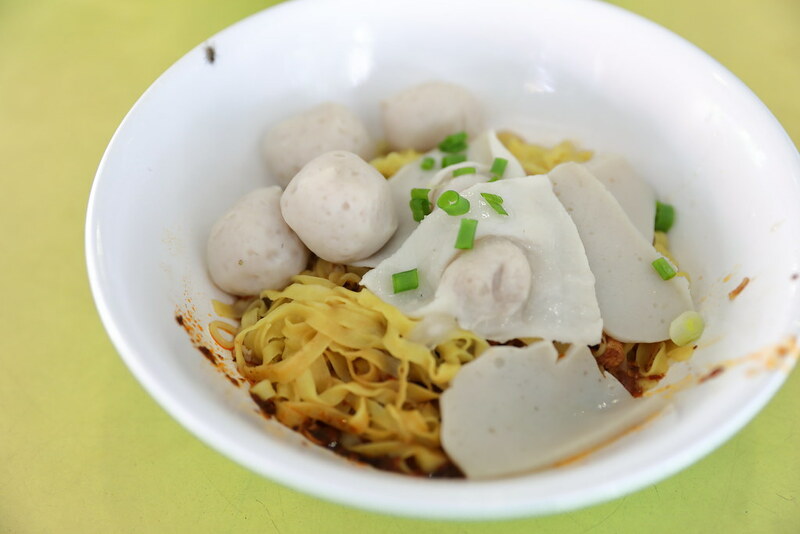 The stall offers 6 different type of noodles (mee sua, bee hoon, mee kia, mee pok, kway teow and yellow noodle). I decided to have the kway teow which is my usually preferred choice for noodle soup. Nothing much to shout about. Old school taste with the soup flavoured by the used of pork lard and fried shallots. Last but not least, I ordered a bowl of Meat Ball Soup ($3). The size of the meat ball is huge! It is probably bigger than a golf ball. The meat ball comes with some minced pork, scallions and chillis. Totally enjoy the bouncy texture of the huge meat ball but then I could not find the meat at all. Maybe it was mixed together with the fish paste. Overall I think the fish ball noodles here is good but not outstanding. The note worthy is the stall still handmade their own fish balls which is quite rare nowadays with factory readily available. I thought the pricing is rather cheap for the portion I am getting. 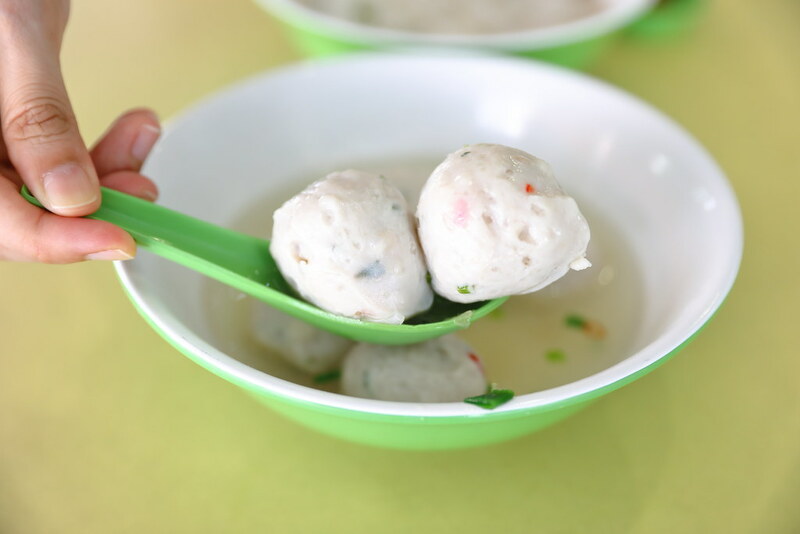 For my three bowls of meat ball soup, fish ball noodle dry and soup. it only cost me $9. I even asked the stall auntie whether she charged me wrongly. Great to know. Thanks for the support.